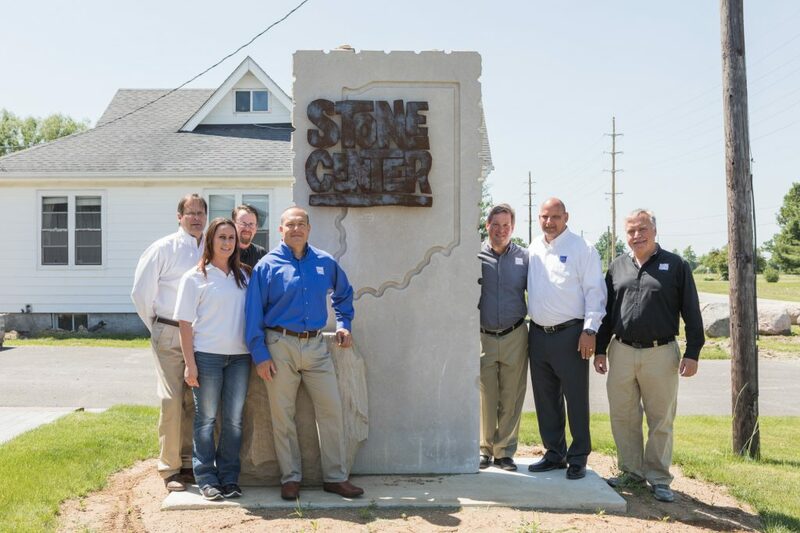 For nearly fifty years, the Stone Center of Indiana has been providing Indianapolis area contractors, builders, and homeowners with the largest selection of natural stone products in Central Indiana. Now, the Stone Center has taken things to another level. With the opening of a second location near Westfield, the company has given customers even more reasons to love stone. The original location on East 65th Street has developed a following thanks to its stone playground which the Stone Center calls “The Great Wall.” It’s a two-story one-hundred-yard long expanse of stone samples, many of which are built into an actual three dimensional, so customers may see how a finished product appears up close. Smitson has grown accustomed to rapid growth in the four years since he bought the Stone Center. As he continues to learn more about the stone industry, the company’s solid history and reputation provides a strong foundation for him. When it opened in 1969, the Stone Center quickly established its reputation for having the largest selection of stone products brought in from all over for use in the home, outdoor living and landscape. The popularity of outdoor living space now requires a selection of stone and materials from over twenty states and three countries coupled with fire pits, fireplaces, and grill islands to meet the needs of customers. 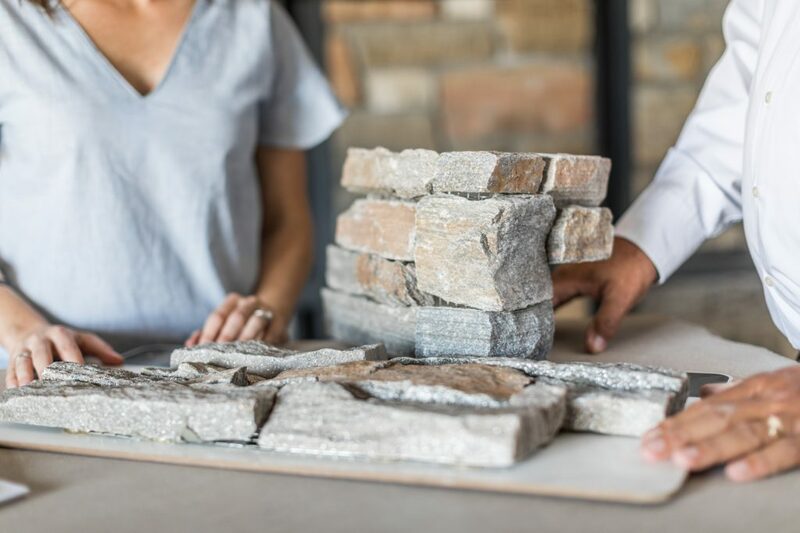 The one stop shop philosophy has also applied to the Stone Center’s partnerships with custom home builders and StonePro certified landscape contractors. “Those partnerships work for us because they understand the value of the service level we can give them to help make them more profitable.” Smitson says. Working with stone is serious business, but everyone at Stone Center knows how to have a lot of fun too. The Stone Center team started Curbside Cookouts around ten years ago as a fun way to build goodwill and mix with the crew at a job site. The men will load up the grill in the truck, bringing burgers, dogs, chips and drinks to a job site. The mission is to give the workers a break, and during the break, the Stone Center guys take the opportunity to make a YouTube video of the job’s progress. Proving that there’s never a dull moment with the Stone Center, the guys often interject humorous scenes with people pretending to sleep on the job and doing various wacky antics. “In the beginning, when we’d call and ask if we could show up, the foreman wasn’t always keen on us interrupting the work,” Alan Drane says, “But, then they saw the videos and realized how much we were promoting their work, and soon some of the builders were calling us asking when we were going to come out to do a Curbside Cookout with them.” HGTV might just be dialing their number soon! Get inspired to plan your next project with stone. Check out the Stone Center’s website at stonecenterofindiana.com to browse its vast selection. 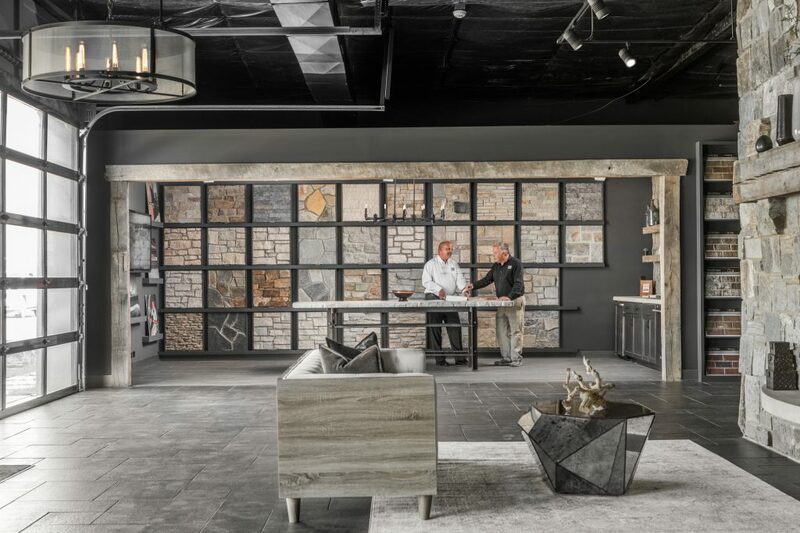 To get really inspired, visit the Stone Center’s Great Wall at 5272 E 65th Street, Indianapolis, or showroom near Westfield.